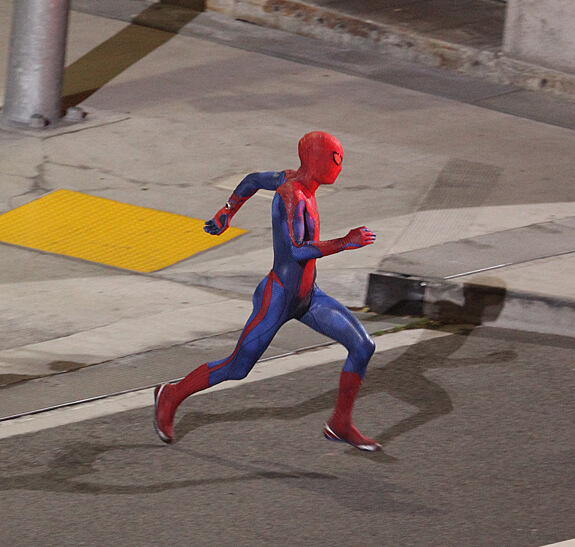 Here is a shot of the new Spidey running down the street as captured by a set spy of some sort. It’s most likely this is a stunt suit and not representative of what the actual costume looks like. One thing to note, however is that “web shooters” seem to be present on his wrists. 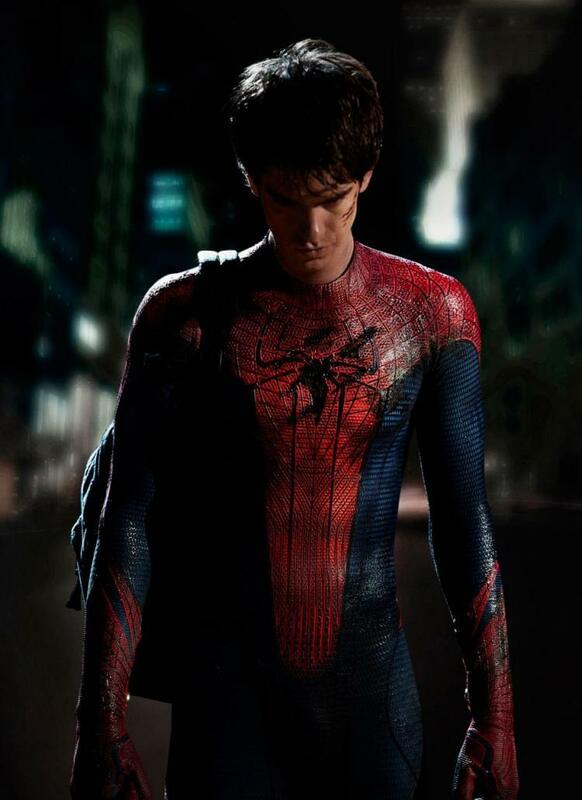 If you missed it, Marvel has released this teaser shot of Andrew Garfield in the suit. The new Spider-Man film follows Peter Parker’s adventures in high school and stars Andrew Garfield as Peter Parker/Spider-Man, Emma Stone as Gwen Stacy, and Rhys Ifans as Dr. Curt Connors. Lazy Sunday Post: IT’S ALIVE!